Buying Advice: 😒 Negative. Let's wait for the return of the 16 Years! Nose: The first very clear impression is of Malt Biscuits. I found something quite similar in the Cardhu 12 Years. Barley Juice I called it on that occasion. There is also a quite clear note of New Oak that I regularly encounter in West-European mainland Malts. After a while I also get Buttered Toast, Wax, Heather-Honey, Toffee, Straw, Butterscotch, Green Apples, Apricot Marmalade, Toasted Salted Almonds, Citrus Peel, White Wine and Fresh Herbs. The Alcohol remains in the background. On the Nose, the Skiren is not bad but a bit dull and lifeless. Palate: The delivery is a little Thin due to the low ABV. It remains Malty and Waxy with Sweet Barley, Caramel, Toffee, Brown Sugar, Butterscotch, Vanilla, Almonds, Heather-Honey, Apple, Pear, Lemon-Peel, light Pepper, Cinnamon, Salt, Cloves, Dusty Road, Sour Grapes, Resin and hints of Milk Chocolate and Sweet Artificially Flavoured Banana Ice-Cream. Finish: Bitter-Sweet, Middle-Long, a little Edgy and with a light Metallic off-note right at the end. It stays Malty and Creamy with Puff Pastry filled with Apples, Butterscotch, Toffee and Malt Biscuits. I also find Caramel, Toasted Almonds, Vanilla, Citrus Peel, Heather-Honey, Wax, Cinnamon, light Pepper, Cinnamon, Aniseed, Salt and Cocoa Butter. I added a few drops of Water and the Skiren turns into a Malt flavoured Floral Perfume. Better sip it neat. The Distillery was founded in 1885 by John Townsend and his business partner MacFarlane in St. Ola, close to Kirkwall on Orkney. 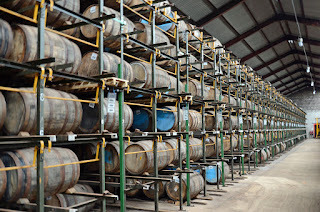 It was mothballed a couple of times over the years but since it was bought by Chivas Brothers (Pernod Ricard) in 2005 things started to improve. A large part of the production disappears in Blends like Chivas Regal and Ballentine's. 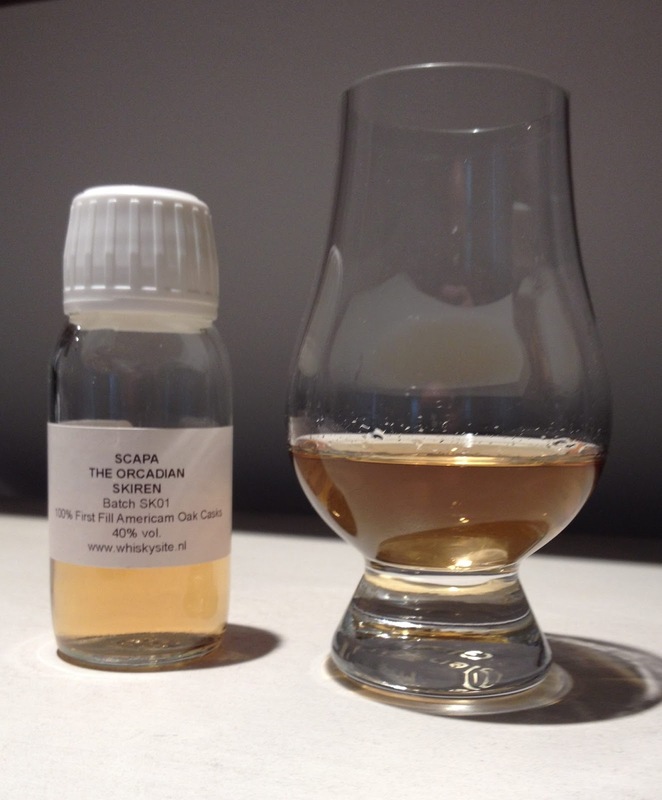 Scapa did appear on the Single Malt map though in 2008 when the 16 Years was launched. This Malt became quite popular but unfortunately it has been discontinued in 2015 and replaced by the Skiren I'm reviewing today. 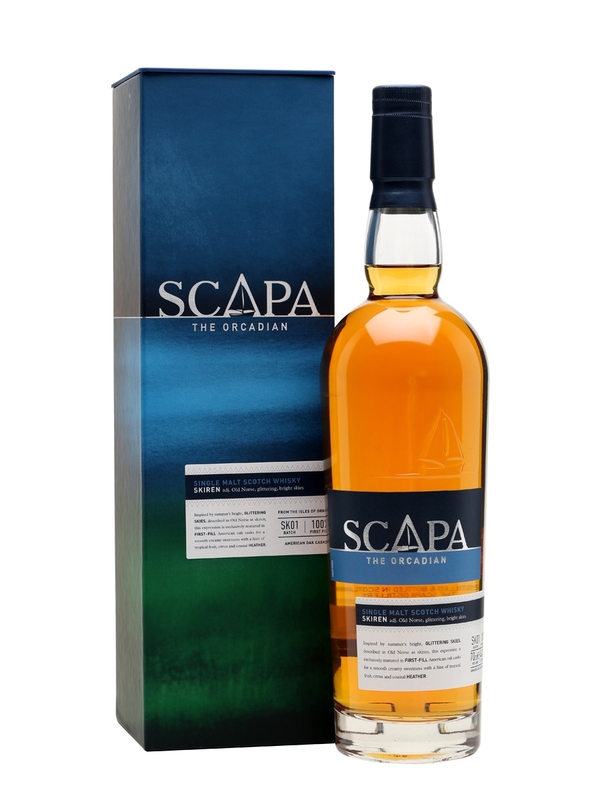 You can still buy a 16 Year old Scapa named Jutland at the distillery. Scapa derives from the old Norse word Scalp that means boat. It currently produces around 1 million liters per year. 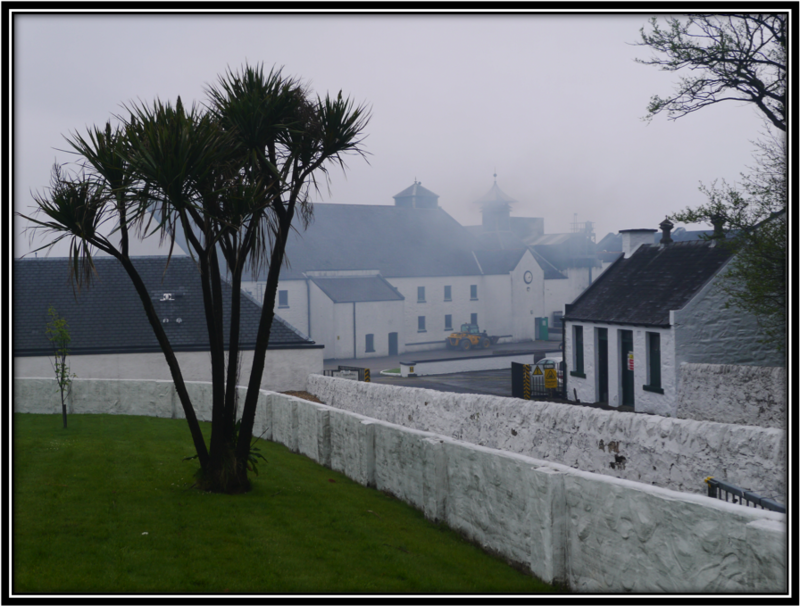 The Skiren (Norse for Glittering Bright Skies) was launched in 2015, the same year the distillery opened for visitors. 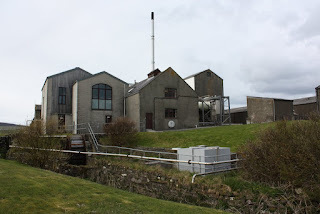 Scapa only operates one pair of stills. The Wash still is one of only two surviving Lomond stills. The Lyne arm of the Spirit still points slightly upwards at first and produces a rather light, Floral and Grassy spirit. The water is sourced from the Lingro Burn. The Skiren matures in First Fill American Oak Bourbon/Whiskey casks purchased in the US states of Tennessee and Kentucky. Drinking Experience: Average and Disappointing. 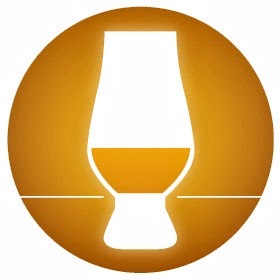 Apparently, the Skiren is one of those Single Malts born out of necessity rather than free will. Dwindling stocks and increased demand must have lead Scapa to discontinue the 16 Years and replace it with the Skiren. And while the price of the Skiren is almost identical to the old 16 Years, it can not compete with the latter in terms of Aromas, Flavours and overall quality. There is an artificial feel to the Skiren and the Metallic off-note in the Finish is slightly off-putting. 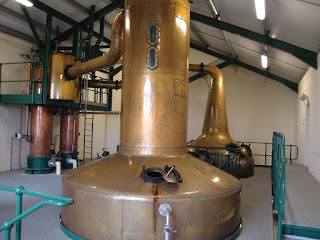 I fully understand the necessity of distilleries to cope with decreasing stocks. 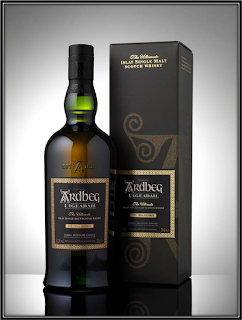 I do not agree however when younger, rather immature Malts like the Skiren are released as a replacement at the approximate same price. Despite the fancy name and the nice presentation and packaging. I really can't recommend the Skiren at this price level and I anxiously await the return of the 16 Years!